ANTI-BREXIT campaigner Gina Miller said she felt “no relief” after Brexit Secretary David Davis and his EU counterpart Michel Barnier published the latest withdrawal deal proposals earlier this week. Ms Miller argued that Brexit Secretary David Davis was “just kicking the can down the road” with his latest Brexit deal proposals. The anti-Brexit campaigner said she felt “no relief” after the announcement of a breakthrough in Brexit talks between Britain and the European Union. Speaking at a conference on Brexit in London, she said: “The agenda has resulted in a wave of very different emotions from both the participants and the audience. Anger, bewilderment, anxiety, even despair. Perhaps a slight note of relief depending on how you take the announcement of Davis and Barnier. Secretary Davis said that the agreement represented a “significant step” on ensuring a time-limited implementation period after Brexit which would deliver the certainty demanded by business. 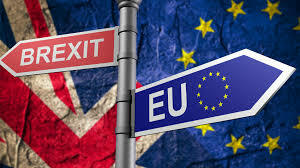 According to the latest proposals, the United Kingdom will be able to negotiate trade deals with non-EU countries while EU citizens and UK nationals moving during the transition will be recognised the same rights of those arriving before. Ms Miller also used her keynote speech to voice her hopes for a second Brexit referendum, adding: “Leaving the EU in any form – soft, hard, slow, whatever it is – is going to require a referendum. She continued: “There was an act passed in 2011 which said ‘whenever there is a treaty change there has to be a referendum.’ Us leaving the EU would be a treaty change. “Now the Government knew about that so they put it in the Withdrawal bill and the lazy MPs never spotted it. So they passed it. The UK Parliament will have a final vote on the Brexit deal reached between Prime Minister Theresa May and Brussels at the end of the negotiations. Many representatives in the House of Lords are expected to vote against the bill as they join Lib Dems peers in their quest to stop Brexit.